American Diner Bar to hire. 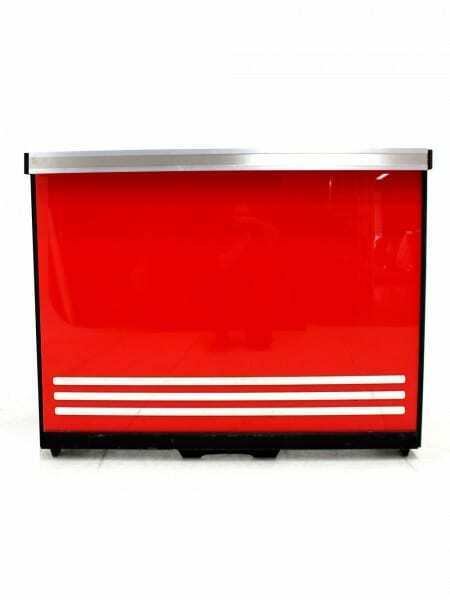 This bar, themed in typical 50's American diner style, would be perfect for any Grease, 50s or American Diner themed event or party. 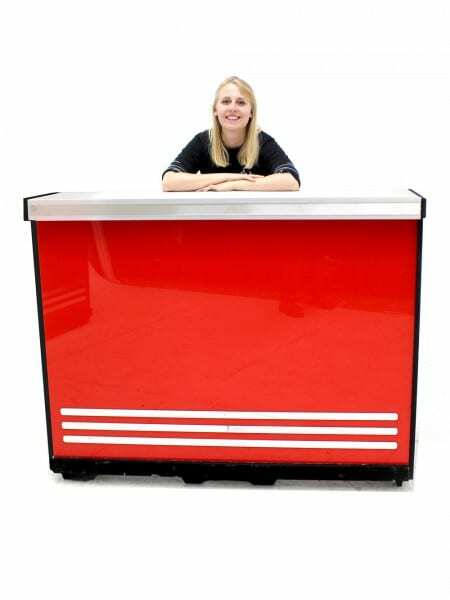 The bar is finished with a stainless steel top for easy wipe down and cleaning. 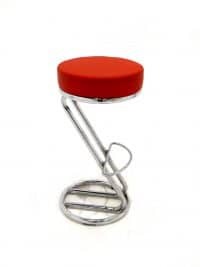 Why not hire some matching diner stools (below) as an optional extra? The price quoted is for a 1.5m bar but but we can also supply this as a 3m and 4.5m length bar too. Please note that the price quoted here is for one section of bar (although several sections can be placed together to form a longer bar). Diner Stool Furniture to hire. 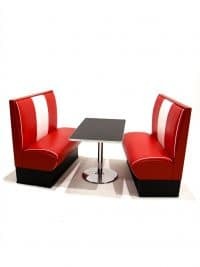 Perfect breakout seating for any American diner, Grease or 50’s themed event party. Available singularly or as part of a 4 set including hi-rise diner table. 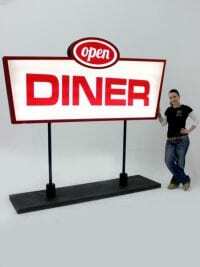 Event Prop Hire are so proud to for hire this stunning giant Diner style light box. This light has been engineered in-house by our amazing production team and in a venue , when the lights are low looks truly fantastic. We have used it behind bars or alongside entranceways to help set up the feel of your 1950's themed American Diner event. The light box is illuminated by cutting edge white LED's, so theres no risk of receiving an item with blown bulbs….just plug it in and your off. The item arrives in 4 easy to assemble parts which will take 2 people just a few moments to have set up. Trust us when we say you will not be disappointed by this item!. 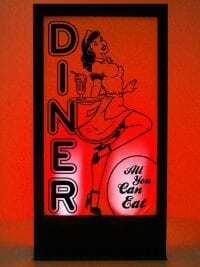 Iconic 1950's style American Diner waitress silhouette panel for hire. All our Silhouette Panel Props are freestanding and are supplied with 1 x LED Parcan light. The Light can be set to a number of different colours so you can match it into your event colour schemes. All lights have a 1m cable on them with a standard domestic 3 pin plug at the end of the lead. It is the responsibility of the our clients to provide extension leads where needed. White Diner Stool available to hire. 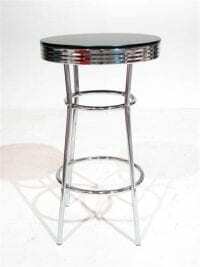 This white and chrome stool seat would be a great addition to any 1950’s, Grease or American Diner themed event night. 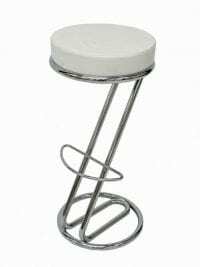 A great way to add to more seating for your guests, this stool would look great alongside more or our American Diner props and our Sweet Top Poseur Table…take a look! 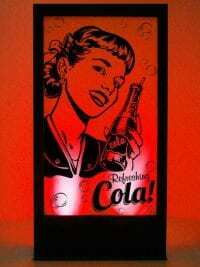 Iconic Refreshing Cola Diner Silhouette Panel to hire. American Diner Booth to hire. Prop consists of two bench seats and table. 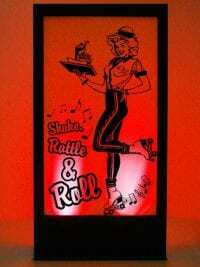 Perfect prop hire for any american diner or 1950’s themed event. 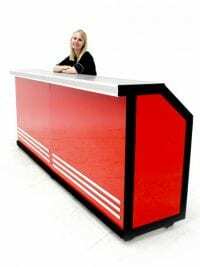 Please note – The exact table design may vary slightly and may also require assembly onsite by the client if our dry hire service is selected. Hi Rise Diner Table available to hire. Perfect for any number of themed events including Grease, American Diner or 1950's. Available singularly or as part of a set with 4 hi rise diner stools (FUR439). 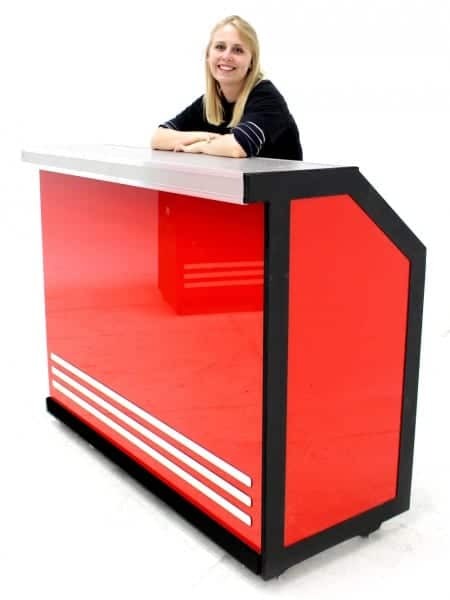 This bar is available in various sizes; simply speak to a member of the sales team for details. 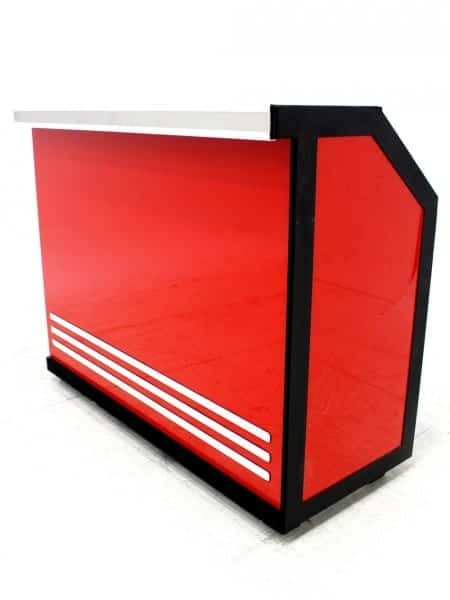 Please note that the price quoted is for a 3m version of this bar. Hi Rise American Diner Table Set to hire. 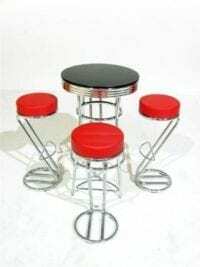 Consisting of one table and four stools, this American Diner furniture is perfect for any Grease or American Diner themed event. Please note that the picture shows the set with a black topped table & red stools but we can also offer black or white stools, or a white topped hi rise diner table; simply ask a member of the sales team for details.